There’s more to Las Vegas, Nevada than neon lights and the Strip. For those whose idea of entertainment is a day on a mountain bike, the 100-miles of singletrack in the Red Rock National Conservation Area is anything but a gamble. Miles of buff trail through Joshua trees and giant Yucca is perfect for those new to mountain biking as well as advanced riders. 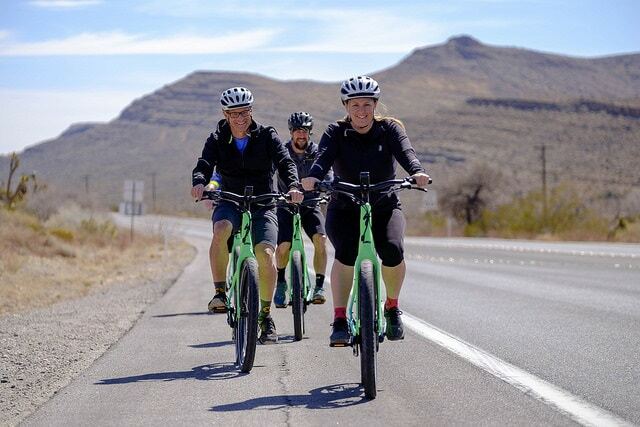 With electric bike tours and hiking tours, our outings are ideal for for the “off-season” traveler, riders with limited vacation time or business people in search of an easy escape.